Using MailboxImportRequest cmdlet one can move .pst files into particular mailbox or archive folder. The process discussed is the simplest method to transfer file from local computer to Exchange Server. Timely backup process can avoid bulk migration of mailbox databases. This will reduce the import or export time period and also data security is maintained. Both the cmdlet utilities are free of cost and have their own advantages of the usage. Let us go through the positive aspects of the services provided by the Microsoft for user’s import and export request. Using the application PST files can be imported directly to the personal archive of the user. Large number of PST files can be imported and exported at the same instance of time. The process of Import and Export are simultaneous and uses queuing and throttling features. The PST files are available on shared network drives which are accessible by Exchange servers. Before Importing or Exporting mailbox data a network shared folder must be accessible by the Exchange Server. The read/write permission should be granted to trusted Exchange subsystem group. The error message will be experience by the user if the read/write permission is not granted. The PST file size must not be greater than 50GB as this is the permissible size limit of Outlook. However user can create multiple PST files having size more than 50 GB in total, intended to a specific folders. The MRS is the crucial feature that enables user to perform move or restore mailbox process. The queuing and throttling of process is handled by MRS. The data cannot be imported to public folder or public folder database. New-MailboxImportRequest: Using this cmdlet user starts the process of importing a .pst file to a mailbox or personal archive. User can initiate more than one import request but each request must have a unique name. Set-MailboxImportRequest: Updates or modifies the import request option after the request is created or recovered from the failed request. Suspend-MailboxImportRequest: The cmdlet suspends an import request after the request is created but it must be executed before the request reaches the status of completed. Resume-MailboxImportRequest: It resumes suspended or failed request. Remove-MailboxImportRequest: It removes fully or partially completed import requests. One must clear the completed request as they are not removed automatically. Get-MailboxImportRequest: This cmdlet is used to view the general information about an import request. Get-MailboxImportRequestStatistics: It shows detailed information about an import request. New-MailboxExportRequest: It starts the process of exporting data from a mailbox or archive folder to a PST file format. Just like previous Import feature, user can request more than one export request but the name must be unique. Suspend-MailboxExportRequest: It suspends an export request any time after the request is created but before the request reaches the state of completion. Resume-MailboxExportRequest: It resumes an export request that was suspended or failed. Remove-MailoxExportRequest: This removes fully or partially completed export requests. User must clear the completed request as they are not automatically removed. Get-MailboxExportRequest: It shows general information about an export request. Get-MailboxExportRequestStatistics: It shows detailed information about an export request. In this section we will focus upon the process by which we can export mailbox data into PST format. The process can be done for both single mailbox and multiple mailboxes. Add ”MailboxImportExport” RoleAssignment to the admin. After this create folder and share it. 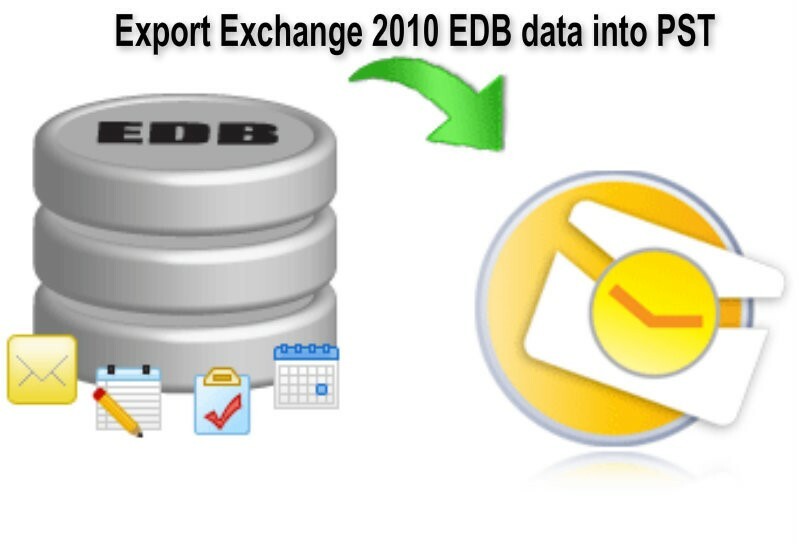 Above discussed are the methods to export and import the Exchange 2010 data into PST format and vice-versa. But for normal and novice users most of the discussed techniques are highly complex and technical. There are full chances that user will perform most of the steps wrong and land his crucial data into severe trouble. Hence it is advisable to the user either take help of expert or try much simpler options to Export their data into PST format. Now the only best option left with the user is to go for third party EDB to PST converter tool. The tool has simple and user-friendly interface that guide user step by step until the process is completed in background. There are numerous third party tools available but choosing a reliable one is a tough task. One of the best ways to find such kind of tool is to use free demo version and analyze its competence. Conclusion – In this article user is briefed about the free utility that can be used to Export and Import Exchange data files to PST or vice-versa. The mid section of the article describes various methods that can be implemented to perform the Export and Import task. Also crucial points are mentioned that must be followed by the user for ensuring expected result.